This is a guest post by Maxine Branagh- one of our Visiting Scholars for 2016. She is a second year PhD candidate at the University of Stirling. Her thesis is titled ‘The Young Scottish Reader in the Long Eighteenth Century’ and is supervised by Dr Katie Halsey and Professor Kirstie Blair. She is funded by the AHRC through the Scottish Doctoral Training Partnership, Scottish Graduate School for Arts and Humanities. She can be found on Twitter @maxinebranagh and blogs at maxinebranagh.co.uk. I am delighted to have been accepted as one of the University of St Andrews Library Visiting Scholars for 2016. 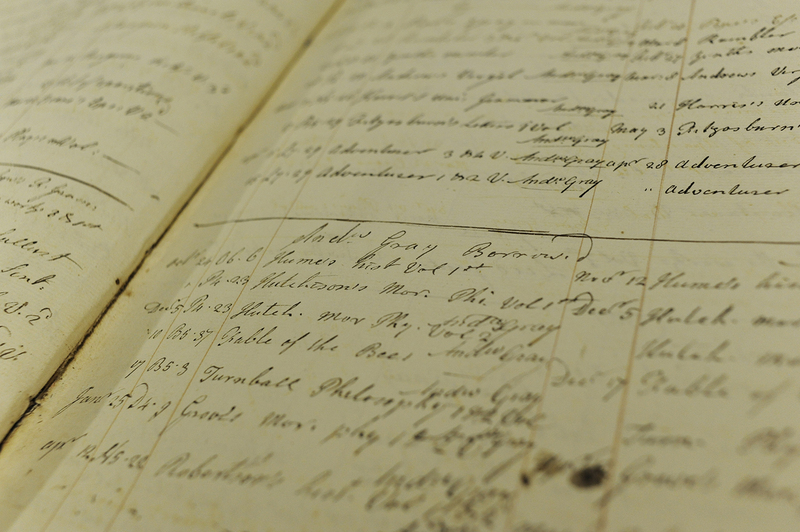 I will be visiting this July/August to complete archival research on the library’s own borrowers’ records and catalogues between 1737 and 1848. My PhD thesis; ‘The Young Scottish Reader in the Long Eighteenth Century’ falls within the broad field of ‘History of Reading’ and is focused on the reading habits of children and young people in various institutions across Lowland Scotland: Innerpeffray Library in Perthshire, The Royal High School of Edinburgh and University of St Andrews Library. Using evidence of people’s reading experiences in the form of diaries, memoirs, letters, library borrowers’ records, book sales and the marginalia in books themselves, allows me to construct a picture of the historical young reader. I also compare this evidence to representations of young readers in conduct literature and novels from the period to determine the extent to which ‘actual’ reading practices differed from prescribed or idealised images of childhood reading. 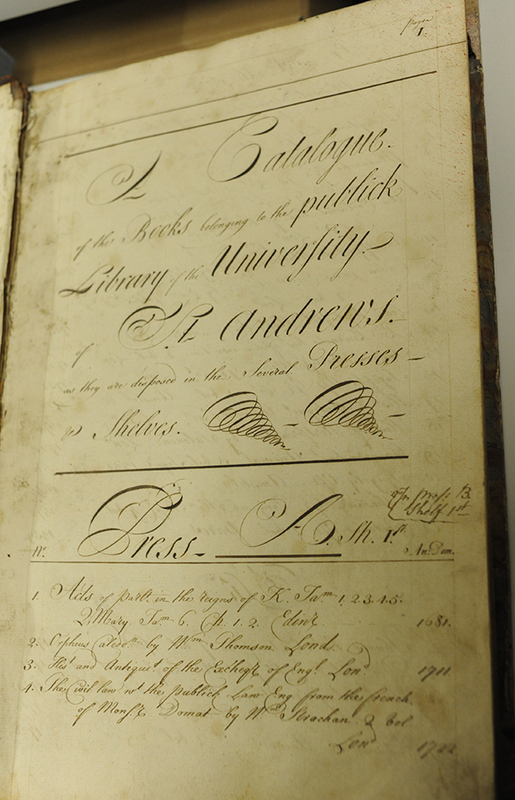 Due to the extensive use of the library by undergraduate students throughout its history, the University of St Andrews Library records are a valuable resource for history of reading research. 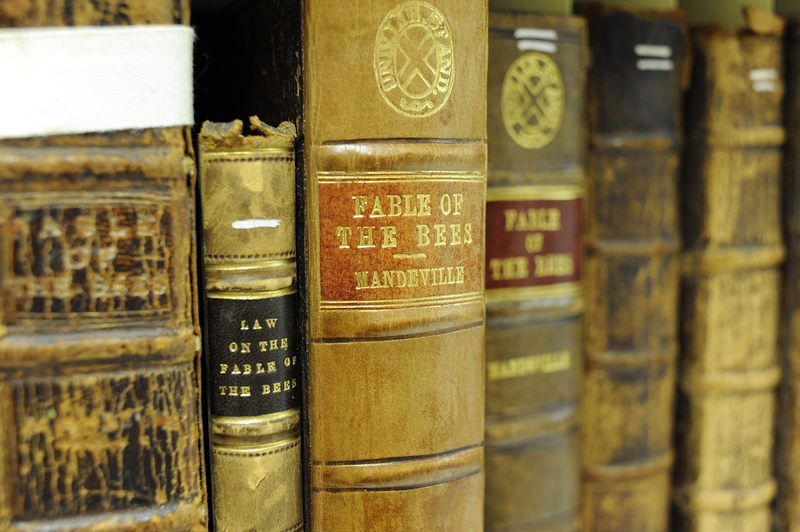 Library borrowers’ records can tell us a great deal about the nature of reading experiences. They can tell us what books were particularly popular, or that students were being encouraged to read, and when; the patterns of borrowing over a long period of time and, in some cases, how long they spent poring over their library books. Combining this evidence with library catalogues and records relating to acquisitions for the library can also give us a good idea of the pedagogical and institutional concerns and priorities at play at various points during the history of the library. Of course, the status of the University of St Andrews library as a copyright library between 1710 and 1836 makes this a particularly interesting case study as students had access to such a wide variety of materials (over 65,000 books) and not just the titles scholars prioritised, as is the case at the Royal High School of Edinburgh. This research forms a key part of my PhD thesis and the library records will become the basis for a case-study chapter examining the young readers at the University of St Andrews in the period. In combination with the other case studies, it will enable me to determine the extent to which similar materials were accessed across different institutions, by different age ranges and in rural, small-town and urban settings during the Enlightenment and Romantic periods. You can read about our other Visiting Scholars for 2016 here.